Celebrating and showcasing three new and beautifully unique kitchens, the monthly Supper Club, allows attendees to admire and learn about the new kitchen range whilst enjoying a delicious supper at the same time. Guests are invited to enjoy a relaxed evening of delicious, seasonal food produced by a guest chef. 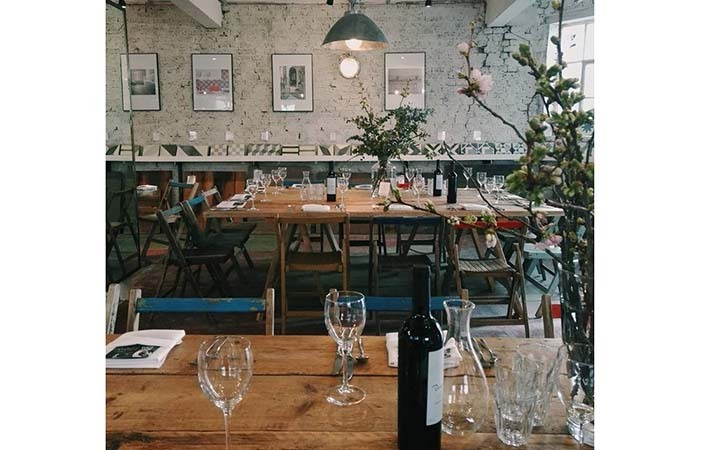 Bert & May selected our Gigantes Rustic trestle tables and The Ludlows, our beautiful vintage folding wooden chairs to compliment their London warehouse setting.